Google and Walmart are taking their respective battles against Amazon to the next level with a partnership that nobody saw coming. Starting late September, owners of Google Home will be able to order products from Walmart by voice. You can order one item at a time, or place items into a shopping bag using Google Home, and then complete the purchase from the Home app. Walmart will also join Google Shopping Express, adding their products to the shopping service. The partnership is a win-win for both sides. Google wants to increase the utility of its voice assistant, and Walmart wants to give consumers an alternative to shopping on Alexa. If voice shopping grows in popularity, Walmart is the only retailer that could offer a catalog of products that can match Amazon. “More competition, more choice is great for consumers,” Google’s commerce and ads chief Sridhar Ramaswamy said in response to a question on Amazon’s voice shopping. As part of this announcement, Google is removing the $95 annual membership fee for the Google Express shopping service. Now shoppers will only pay a $4.99 shipping fee if they do not meet the free-shipping threshold of the partner. Starting in 2018 the partnership will extend to include in-store pickup and fresh grocery items. 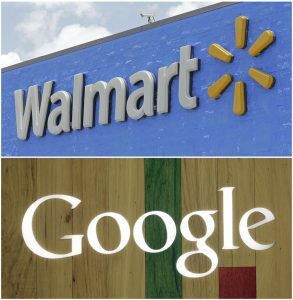 This alliance could not have come at a better time for both Google and Walmart. Fighting Amazon alone, who has a lead in the home voice assistant market, and is making a play for the US grocery market, would be difficult and expensive. The Google Pixel event is scheduled for the 4th of October and the buzz has been growing about another exciting new feature that is expected to be teased at the event. 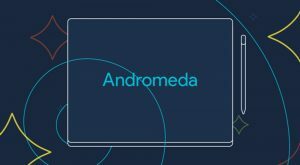 This project has been referred to by its supposed internal codename Andromeda. From all the rumors that have been circulating it is expected to be a long-expected announcement of the merger of Google two operating systems: Android and Chrome OS. 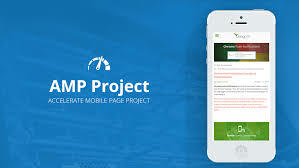 There is also another movement that involves running Android apps in Chrome OS, this is not that. From what we can tell this involves folding Chrome OS into Android. The expectation is that this would give Android a phone/tablet mode and a Desktop/Notebook mode. There have been attempts before by Motorola to run a desktop on an Android phone but it is possible that this was too early and the Desktop OS at the time was a Linux variant. It is also unclear if this will be part of Android or be based on a separate fork of the OS. It would be an interesting move on the part of Google if it were to run its own fork of Android for the purposes of folding Chrome OS into it. Despite all the uncertainty, the event on the 4th of October looks like it will be setting the stage for Google to seriously enter the hardware business. It will also involve direct competition with Apple and its fellow Android manufacturer Samsung. 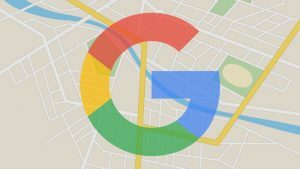 Google has finally enabled two of the most requested features for Google Maps: WiFi only mode and the option to download offline maps to the SD Card. It might not seem like something everyone would want but these will be extremely useful to a lot of people. Here is a quick rundown of the two features. The description here is pretty straightforward: Google Maps will only attempt data usage when Wifi is available. This will be useful for users who travel a lot and have very limited or expensive data plans when they roam. Often metropolitan areas around the world have a lots of free Wifi hotspots or services that offer cheap wireless. This will allow the phone and maps to use those as the user walks around rather than using mobile data. Even large offline map downloads will queue and download when wireless access is present. Entry level smartphones come with as little as 8GB of storage. Some models might even go up to 32GB. When you factor in images, app data, application installs and music that storage quickly dries up. These phones also tend to have SD card slots of storage expansion and this feature will allow the user to choose the location where map data is stored. The maps for large areas can take a fair amount of space, and if you have multiple offline maps this is the only viable way for those on low storage smartphones. 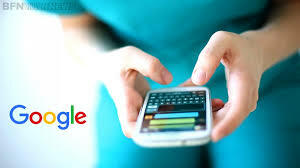 Google is building a new messaging service using chatbot technology. In this fast growing area, Facebook already has the lead with Facebook M, a chatbot that blends AI and human components to execute tasks for users. Messaging servers are now the most popular apps. With around two billion users on messaging services, Google is lagging far behind with its two primary messaging apps, Hangouts and Messenger. Hangouts and Messenger, which are both bundled with Android are far behind competitors such as Facebook Messenger, Snapchat, WhatsApp. Googles service is rumored to be a collection of chatbots, which are AI software programs which will answer users questions directly. When a user asks a quesiton, a chatbot will search the web or a database of its own and answet the question or present the information requested. Googles method looks to differ from other emerging services by using different chatbots for different categories. It is not known what this service will be called or when it will be launched but it is known to be under development for the last two years. We do not even know if the service will even see the light of day or will be integrated instead into Google Search or Google Now. Messaging apps are based on social connections, which is a weakness for Google. Given this and its past performance, its success is not guaranteed.